Just like a painter who carefully selects the colours on his palette to develop a unique work of art, Menodiciotto meticulously chooses every ingredient to create natural and refined flavours. There's a story behind every flavour we create, a story of fresh seasonal fruits and care for the environment. From Granny Smith apples to "nocciola tonda del Piemonte", our ice creams and sorbets will thrill you with a whole world of selected flavours, varying based on season and availability. Our little Montbéliarde farm allows us to source genuine high-quality milk for our products. So tasty and creamy that will leave your mouth watering for more! Tasty and refreshing, with a low calorie value. In addition to our ice cream, we offer bite-size desserts, hot chocolate and "granite". For every single flavour, we state if it's suitable for a vegan, vegetarian, gluten-free or Kosher diet. Look for these icons to learn if the corresponding flavour is VEGETARIAN or VEGAN friendly. Their taste and creamy texture will surprise your taste buds for a nourishing snack, a sweet indulgence or a noteworthy dessert. 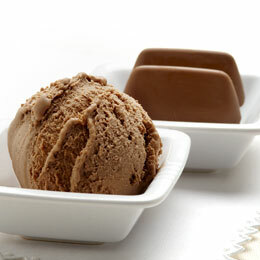 They are the perfect complement for cakes or can be used to prepare coffee, hot chocolate or liqueur-based affogatos. product obtained exclusively from "Piedmont Hazelnut"
In order to enhance the natural taste of fruits, our sorbets do not contain milk and fat. 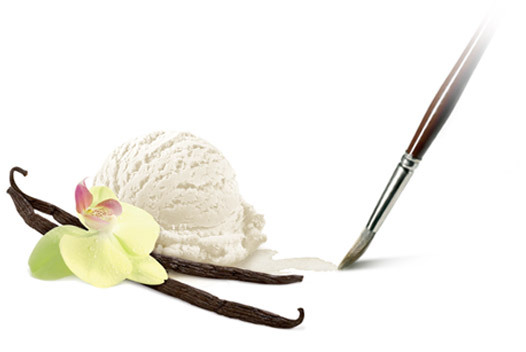 Our special blending technique makes their texture similar to ice cream's texture, differentiating our sorbets from "granite"/water ices and "sgroppino" cocktails. Tasty and refreshing, they have a low calorie value: only 140 Kcal per 100 g/3.5 oz. They can be tasted alone, with alcoholic beverages or with ice cream. Our traditional hand-made bite-size desserts are authentic works of art. 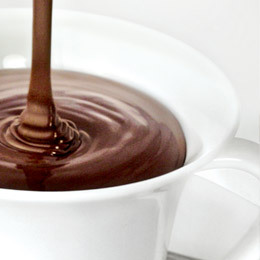 Our hot chocolate warms your heart in the cold season or gives a special touch to your affogato in summer. Our tasty water ices, just as smooth as the traditional Sicilian "granita", will help you stay hydrated in the hottest summer days. Live yogurth cultures to drink! The coffee taste and the creaminess of our milk! The refreshing taste of the mint in the most traditional Italian water ice. 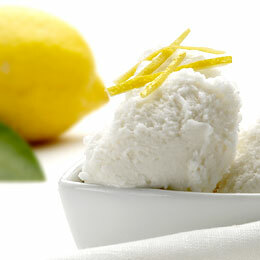 The lemon freshness in the most traditional of Italian water ice. The coffee power in the most traditional Italian water-ice! The list of allergens and ingredients, together with the nutritional values, are provided for information purposes only. Please read the label for correct and complete information. Menodiciotto will not be responsible for modifications in recipes or changes made by third parties causing variations in such list. Menodiciotto takes all reasonable precautions and has in place all necessary procedures to avoid allergen cross-contamination among flavours; however, due to the artisanal nature of our production process, we cannot guarantee the total absence of cross-contamination. Please keep in mind that the risk of cross-contamination – both with allergens contained in other flavours (e.g. use of the same spatulas for all flavours) and gluten (contained in cones, waffles, brioches and Tiramisù flavour) – during PORTIONING/SERVICE in KITCHENS and/or ICE CREAM PARLOURS is high and cannot be controlled by Menodiciotto.